Alice in Wonderland (2010). Various screencaps. 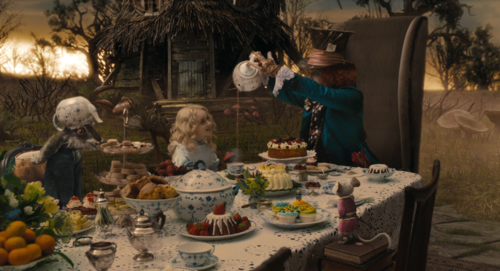 HD Wallpaper and background images in the Alice in Wonderland (2010) club tagged: alice in wonderland 2010 screencap screenshot mad hatter tarrant hightopp. 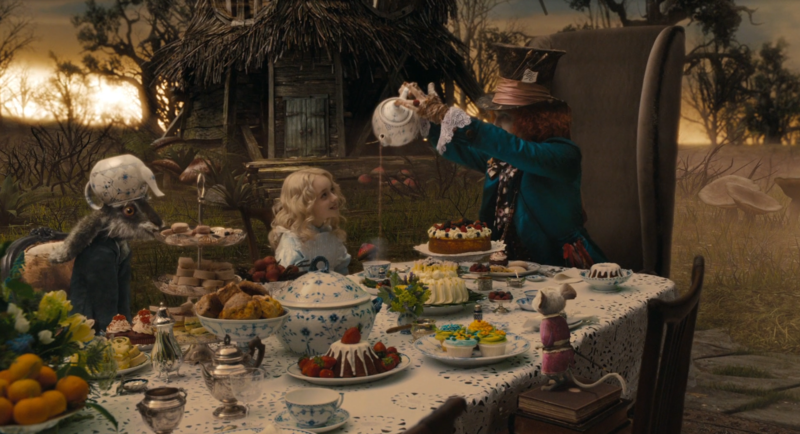 This Alice in Wonderland (2010) photo contains dinner table, dinner, and holiday dinner. There might also be kitchen table, breakfast area, breakfast nook, and smorgasbord.